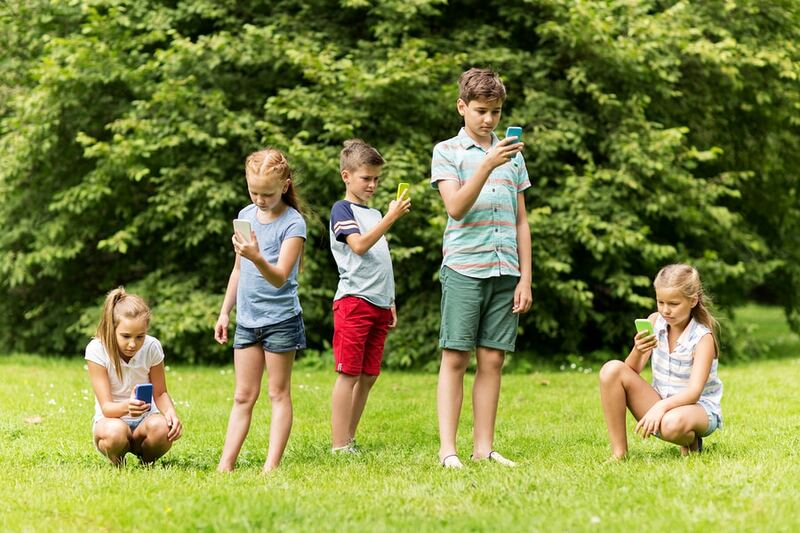 Does Your Child have a Technology Addiction? We recently addressed the issue of ‘screen time’ in children’s and adolescents on the blog. But there is a difference between reliance on technology and addiction to technology. And if you think your child may be in the latter category, the sooner you address it the better. So what are the signs of a technology addiction, in children in particular? It’s another blurry line that can be hard to assess, but consider the following signs of a possible ‘digital dependency’. Have they stopped enjoying or seeking out the other things they used to enjoy? Would they always choose screen time over any other leisure activity? Are you unable to communicate with them or get their attention when they’re using digital devices? Are they always anxiously waiting until they can next get online? Problematic behaviour when unable to access digital devices. Are there excessive tantrums or bad behaviour when they’re not able to access their phones or tablets? Do they become aggressive or act out of character? Constant talking about ‘screen time’. Do they seem anxious, distressed or upset when they can’t access their devices? And then calmer once they can? If your child is exhibiting any or most of these symptoms, an Internet intervention may be in order! Just like any other addiction, these things are best and most successfully dealt with ASAP, and there’s no better time for that when they’re still kids — and you’re still the boss. By setting up healthy habits for screen time while they’re young, your kids will be much more likely to transfer these habits into their adulthood, and navigate the digital world in a more mindful and productive way. Don’t get them to go cold turkey! This will make the transition seem much more difficult and more like a punishment, rather than working towards their best interests. Work on slowly reducing their screen time, rather than eliminating it. If there were no boundaries before — set some. Such as a daily screen-time limit and ‘no screen-time zones’ (like during family time or before bed). Make a hierarchy of priorities. Set guidelines for what must be done before they can have screen time, such as homework, cleaning, preparing for school, and family time. Make a hierarchy of screen time. Allow communal, interactive screen time before individual screen time, and educational content before simple games. Start by changing the content, rather than usage. Replace pure entertainment or mindless games with apps or programs with some educational grounding. Replace screen time with other enjoyable activities. Drawing, reading, playing games, outdoor activities, or even some extra dessert. Slowly implementing some of these ideas will reduce your child’s screen time without them even noticing. The former need strict boundaries, and you can make them. The latter need to feel some autonomy and control, so compromise is best. Work on negotiating the terms of their screen time, rather than dictating them. Utilise screen time hours for when you most need your own time to get things done. This will benefit both you and your children, because the more you can spend quality time together, the less they’ll be preoccupied with picking up their phones or tablets. Good luck — and if you feel that you may be too technology-dependant as well, try some of these guidelines for yourself! How Do We Help Children to Deal with Grief? VCE Motivation: Bribery, Threats and Restrictions, but at what cost?